ATTENTION: The British Gift Cards can only be redeemed in combination with British accounts. If you own an European account, you can take a look at the Xbox Gift Cards EU. Do you have a Xbox Live account and want to deposit a small amount into your account? 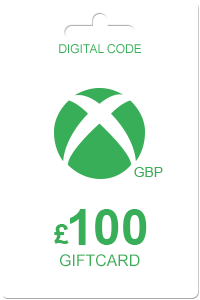 With the Xbox Gift Card 40 GBP, you can check out if online credit is for you. Browse from a huge varieties of items in the Xbox Live marketplace. Purchasing games this way is very convenient simply because you won't have to leave the comforts of your house to buy new games anymore. Pick a game and start downloading and gaming right away. You can also find here offers on music, series, expansions and movies. With Xbox Gift Cards, all of these are just one click away. At Livecards.eu, we don't just offer the Xbox Gift Card 40 GBP, but also the other gift cards, like Xbox Gift Card 15 GBP and the Xbox Gift Card 35 GBP. You can redeem this gift cards to your account but can also be a nice gift! 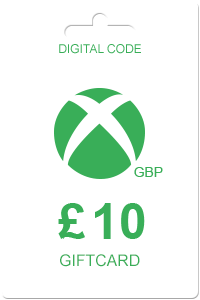 On Livecards.eu, it is very easy to order your Xbox Gift Card 40 GBP. All you have to do is fill in your personal information and choose your payment method. After payment, the code will be shown on your screen and is sent to your email. Redeem the code on the xbox website, or on your own console, to deposit the credit onto your account. The code will be valid for a unlimited period of time, making it your choice when to redeem it. 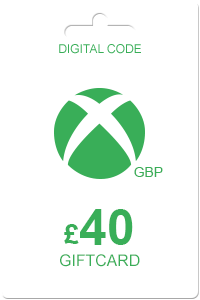 How to buy Xbox Gift Card 40 GBP? Buying Xbox Gift Card 40 GBP from Livecards.eu is as easy as 1 2 3! Simply fill in your email address, select a payment method and complete the payment! We have some of the cheapest Xbox Gift Card 40 GBP on the market.